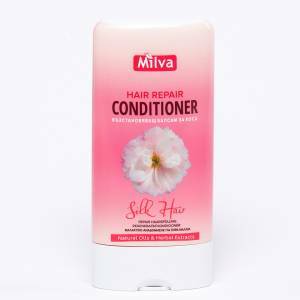 The Conditioner after use of Milva Quinine Shampoo contains a specially developed complex of vegetable oils and extracts that extends the action of quinine. At the same time, the conditioner nourishes and hydrates the hair, stimulates the hair regeneration and adds extra gloss. 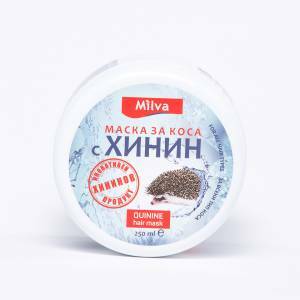 Milva Hair Mask with quinine and natural oils is suitable for both natural and dyed hair. It is a recovering mask that ceases hair loss and regenerates damaged hair. 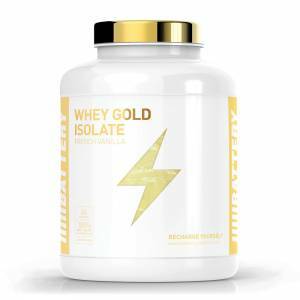 It gives gloss, vitality and silky softness to the hair and makes it easy to shape. The white clay normalizes the mineral balance of the skin, renews the healthy cells and improves metabolism. The fine structure of the white clay allows deep cleansing of the skin and hair. 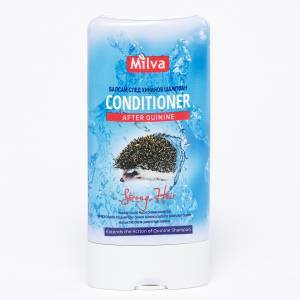 Milva Regenerating Conditioner is specifically designed for dry, exhausted and damaged hair. Its formula includes a complex of natural oils and extracts that effectively nourish, hydrate and heal the hair and restore its surface.